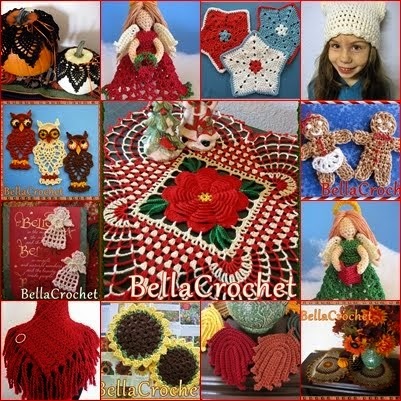 Jena, if you will send me an email and let me know which pattern you would like, I will get it right out to you. When I was posting pictures of birds I have crocheted, I forgot to add a picture of my little turkey. He is part of the 'Angel of Thanksgiving' doily, and one of the more unusual things I have ever designed. Maybe next week, I will do a post on the strangest things I have ever crocheted! I have ordered several of your lovely patterns..including this one..the Thanksgiving Angels. Thank you for sharing your lovely creations with us. Olá amiga que lindo trabalho vc faz. amei tudo parabéns. já to ti seguindo.tenha uma boa semana.